Electronics recycling is the disassembly and separation of components and raw materials of waste electronics. Although the procedures of re-use, donation and repair are not strictly recycling, they are other common sustainable ways to dispose of electronic waste. Recycling is considered environmentally friendly because it prevents hazardous waste, including heavy metals and carcinogens, from entering the atmosphere, landfill or waterways. While electronics consist a small fraction of total waste generated, they are far more dangerous. There is stringent legislation designed to enforce and encourage the sustainable disposal of electronics, the most notable being the Waste Electrical and Electronic Equipment Directive of the European Union and the United States National Computer Recycling Act. 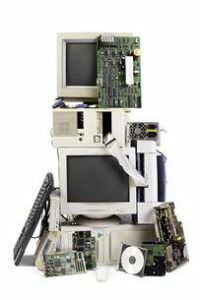 Obsolete computers and old electronics are valuable sources for secondary raw materials if recycled; otherwise, these devices are a source of toxins and carcinogens. 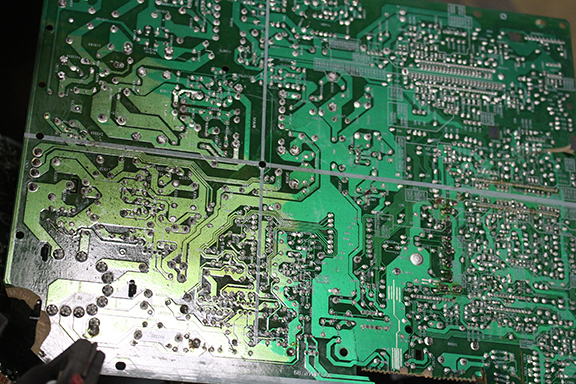 Rapid technology change, low initial cost, and planned obsolescence have resulted in a fast-growing surplus of computers and other electronic components around the globe. Technical solutions are available, but in most cases a legal framework, collection system, logistics, and other services need to be implemented before applying a technical solution. The U.S. Environmental Protection Agency, estimates 30 to 40 million surplus PCs, classified as “hazardous household waste”, would be ready for end-of-life management in the next few years. The U.S. National Safety Council estimates that 75% of all personal computers ever sold are now surplus electronics. The first stage in ATEC Recycling, Inc. CRT recycling process is to remove the cathode ray tube from its enclosure whether it be a computer monitor or Television. The glass tubes need to be intact when our staff begins the process of separation, so monitors and televisions must be taken apart manually. 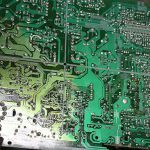 Once the CRT has been removed, the remaining components enter the electronics recycling process where they are separated into various commodity types including plastic, copper, circuit board, and steel. 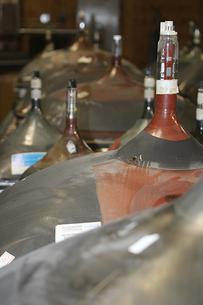 These are sold into secondary markets to be re-manufactured into new products, and the cathode ray tube moves on to be further refined into a clean glass. 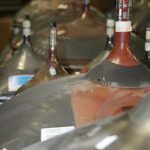 The second stage in the CRT recycling process separates the lead-bearing glass (known as the funnel) from the non-leaded glass (known as the panel). This CRT glass separation process is efficient and allows ATEC Electronics Recycling, LLC. to isolate the glass types. The panel glass, and can be recycled and then reused for a number of applications. The leaded funnel glass proceeds to the third stage where the lead is removed. The final stage is our proprietary process for removing lead from the glass. Until now, conventional CRT glass lead removal available to electronics recyclers achieved the goal of removing lead, however, the glass is a waste by-product that goes to landfill. This method is not truly recycling because the lead-laden glass slag that is land-filled does not go on to serve another purpose or make another product. Additionally, the generator of this end of life CRT is not relieved of its responsibility for this waste because there is still potential for landfill contamination. Once the glass and the lead have been separated, the lead will be reused for industrial purposes. The processed glass is used for a multitude of products and purposes.